How to Avoid the Tourist Trap: Three Keys to a Unique Vacation in Thailand. While many people just want to hit the beach for their entire vacation in Thailand, there are some easy ways to make your next vacation something special. Rather than spending your entire vacation around the tourist spots, why not get to know the locals, add in a unique tour, or perhaps even rent your very own villa. It’s too easy to visit a far-away land and barely get to know the people. Sightseeing is great, sun and fun is special, but to travel somewhere should also mean getting to know the local people. In Thailand this is not always easy, as the language barrier remains a large problem. But there are still ways to rub elbows with the Thai. Perhaps the easiest way is to visit one of the many outdoor markets in your vacation in Thailand. Almost every village has either a standing market or a weekend market, and from food to shopping, they offer a glimpse of the local culture. Another common way to get to know the locals is by eating where the locals eat. A very local restaurant in Phuket Town is run by a former hotel employee who speaks perfect English, and loves the chance to practice. For night-life, the many Thai music houses offer a chance to get away from the tourist traps and soak up the local music. Its little encounters like this that can be pivotal to learning about how the locals live and think. Finally, you could consider taking a local cooking class, or attend an event advertised in the local paper. Any chance to rub elbows with the locals will enhance your experience in your vacation in Thailand. Instead of another beach day, how about rock climbing? Or diving? What about a jungle tour and an elephant ride? Many people have never been on a sailboat or a luxury yacht – how about a sunset dinner at sea? 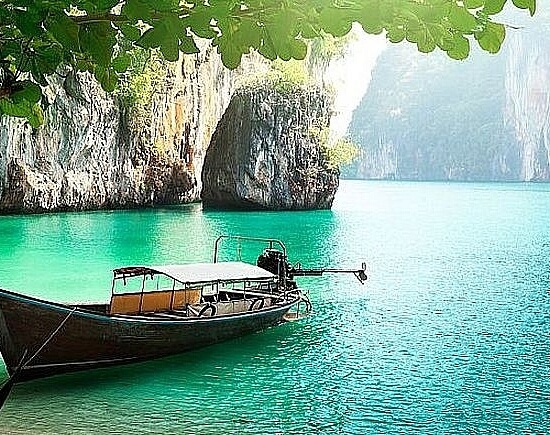 Many of Thailand’s tourist areas are on the water, and offer great opportunities to take to the sea. Instead of another Hotel, consider staying in a private pool villa. Sounds expensive and impossible to organize? Actually, private villas are often much cheaper than hotels, and offer additional ways to save considerable amounts of money through supplying your own food and drinks. And hard to beat your own private pool party! Don’t want to cook for yourself? Villas have chefs available at bargain rates! Taking the time to design your own Villa Vacation will add a WOW factor to your trip that you’ll never forget.